This pooch loves to swim in the pools and he likes the company. But sometimes his manners are less than perfect. 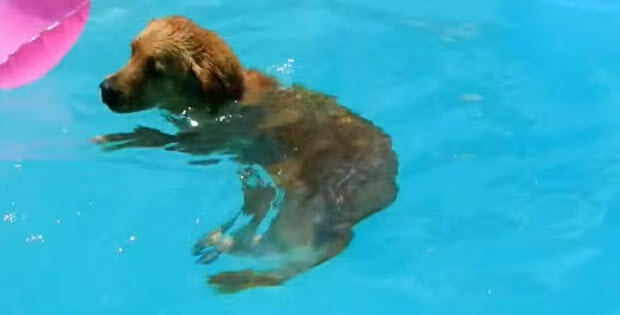 This Golden Retriever loves to swim on the float and soak in the summer sun and when it comes to getting what he wants nothing will stop him. Policeman Rescues A Dog That Stuck In A Fence…What Happened Next Is Unbelievable!